The STFA Board of Directors is pleased to announce the appointment of Christopher Nicholson from Wigtownshire to the post of Chairman of STFA, succeeding Angus McCall who has been in the post since 2004. Christopher farms the family farm Kidsdale near Whithorn in Wigtownshire where he runs 110 suckler cows, broiler breeder units and grows 720 acres of cereals. He has been a director of STFA for seven years and vice chairman for the last three. 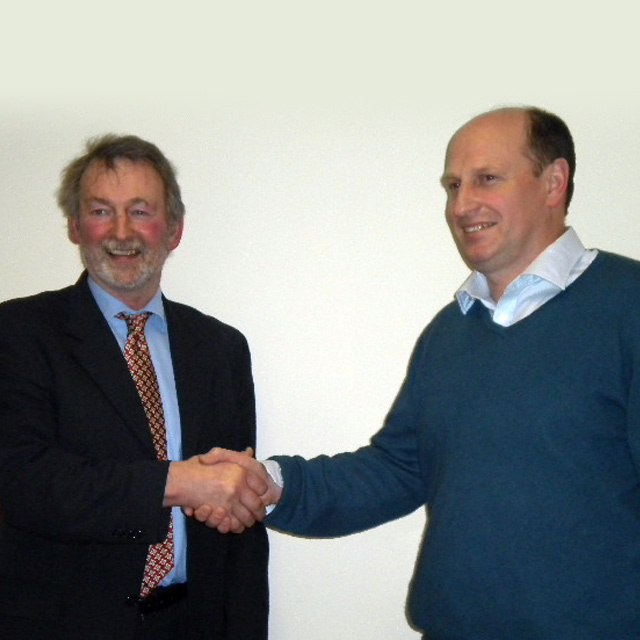 Christopher has also been chairing the NFUS Tenants Working Group for the last two years. The Board of Directors has also appointed two vice chairmen to assist Christopher; Michael Halliday, a dairy farmer from Dumfries and Andrew Stoddart, an arable and sheep farmer from Mid-Lothian. The new team will be assisted by STFA manager, Fiona Wallace, membership administrator, Karen Young and Angus McCall who is to remain on the Board for the next two years as executive director.